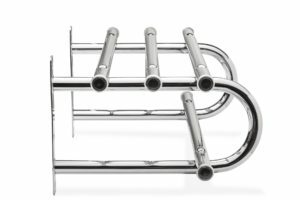 When people gather in a reception area, convention center, hotel meeting room, or office, BEVCO’s attractive chrome coat rack systems serve as both practical and decorative. 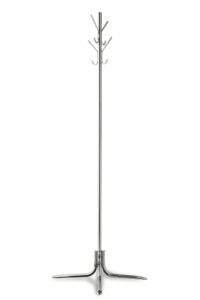 Choose from design styles of wall-mounted or free-standing coat racks. 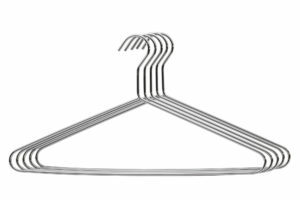 We offer open hook hangers! 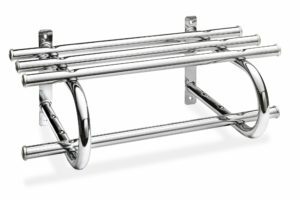 BEVCO’s coat rack systems are made to hang various weights of garments from light jackets to heavy winter coats. To increase functionality, coat racks can combine with convenient shelving racks for hats and other personal belongings. 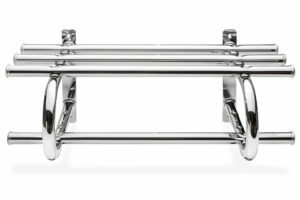 Wall-mounted racks feature 1” round, 18-gauge tubular steel.